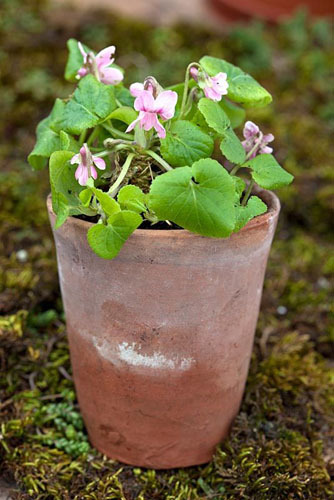 Clive Groves holds the national collection of Viola odorata and Parma Violets. His father Charles Groves started the collection in 1946 with Violet Pricess of Wales and Clive has carried on sourcing, breeding and naming new varieties as well as some old and almost extinct varieties. The collection is housed at Clive’s families nursery in Dorset-Groves Nurseries. To view this feature, click here. 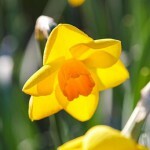 This entry was posted in Seasonal, Spring on March 31, 2016 by gapadmin. 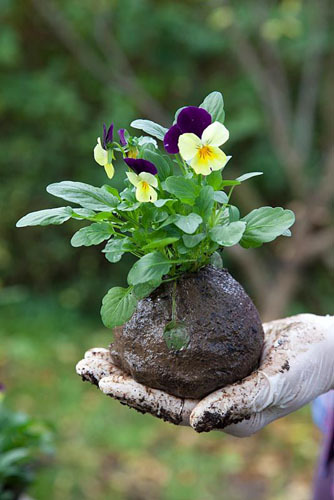 Kokedama is a method of growing plants using moss instead of a conventional pot. The technique, which grew out of the Bonsai style is easy to create and accessible to everyone. Often the plants are suspended for display giving rise to the term ‘string gardening’. Kokedama plants also show off to good effect when placed on simple dishes or even saucers. The moss which covers the root ball is a very important part of the growing method and in ideal conditions the moss will grow and remain luxuriantly green. A wide variety of plants can be used in Kokedama including small trees, shrubs, bulbs but the easiest and most popular are shade tolerant subjects like Ferns, Carex, Hostas and foliage house-plants. This entry was posted in Garden craft on March 28, 2016 by gapadmin. 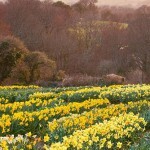 On a windy hillside on the Cornish coast, Ron Scamp breeds and cultivates over 2500 daffodil cultivars, reputed to be the most comprehensive international collection of daffodils in the world. 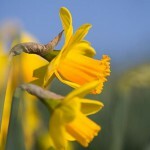 They are meticulously planted out in alphabetical order and span the entire alphabet plus all 13 Narcissi divisions. The vast collection includes many old heritage varieties including; N.’Baths Flame’, N.’Max’ and N.’Tamar Fire’, which Ron has eked out and built up stock, together with over 300 new cultivars which Ron himself has bred and introduced over the years. Most recently N. ‘Trevine’,N.’Plymouth Hoe’,N.Lincolnshire Lady’, N.’Centenary Gold’ There are many more in the pipeline, in a ‘nursery field adjoining the main and glorious stock field. 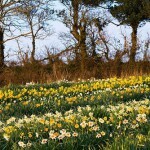 Ron also boasts an impressive collection of species Narcissi. Ron, together with his son Adrian, have won countless awards and trophies from many RHS Shows and exhibits, with over 20 Gold medals to their name besides Ron’s Williams Memorial Medal for Excellence in Horticulture and the Cory Cup in recognition of his successful breeding work. 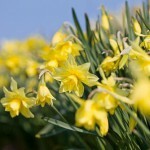 Bulbs are available by mail order, and Ron can be seen exhibiting up at RHS and other flower shows and down the country with his stunning narcissi collection. 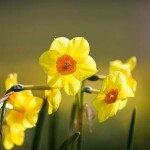 This entry was posted in Seasonal, Spring on March 24, 2016 by gapadmin.